"3D: InvenSense spins first pitch-and-yaw MEMS gyro"
Creating a new category of 3-D motion sensor is a micro-electro-mechanical system (MEMS) chip invented at InvenSense--the brainchild of MEMS pioneer and company founder Steve Nasiri. By detecting the natural motions made by remote control users, including both those for TVs and other consumer devices like game consoles, the new MEMS chip from InvenSense is bound to be a winner. Nintendo has already designed in an InvenSense MEMS gyro for its forthcoming MotionPlayer controller for the Wii, but the newer motion sensor from the company will enable even more intuitive and agile controller. Look for widespread use of the new chip within a year, and watch for copy-cat annoucements even sooner as other MEMS chip makers rush to play catch-up ball.-R.C.J. 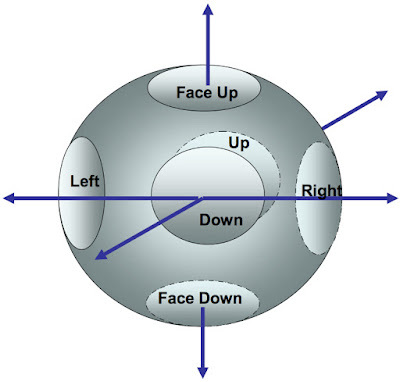 What is claimed as the world's first pitch-and-yaw MEMS gyroscope is said to be able to sense the two axes used by remote controls and baton-shaped game controllers like the Wii. The MEMS gyro chip developed by InvenSense Inc. will be used in the upcoming Wii MotionPlayer accessory. 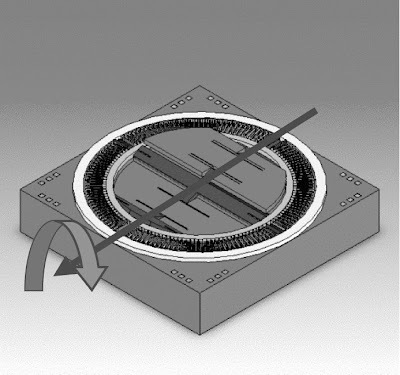 At least two chips, one mounted in-plane and one mounted vertically, are required to create a pitch-and-yaw sensor, but developer InvenSense said its ring-shaped mechanical beam enables a completely planar MEMS chip to sense both motions used in Wii-like controllers. 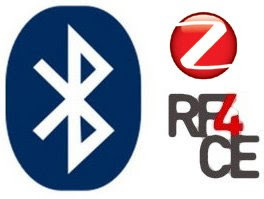 "WIRELESS: Spec-compliant RF remote controls emerge"
Bluetooth 3.0 includes a provision to use it for remote control applications, where battery life needs to be long and cost needs to be low--prompting rival the rival RF4CE/Zigbee Alliance. The RF4CE specificaiton uses a 2.4-GHz radio like Bluetooth, but is specifically designed for low-cost wireless RF replacement of the cheap, plentiful infrared (IR) remotes that litter eveyone's living room today. To the RF4CE mavin, using Bluetooth for a remote control is like using a Cadillac to transport troops. Yet I personally use my Bluetooth phone to control the playback of my iTunes music library. The real question here is whether Bluetooth will replace RF4CE before it even gets off the ground, to which I answer no. After all, not everyone can afford to drive a Cadillac.-R.C.J. The recently ratified Bluetooth 3.0 specification not only ups the wireless interface's speed to 25 Mbits per second. 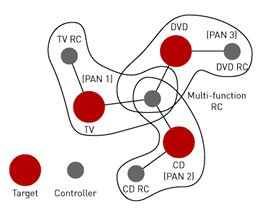 The spec also defines a new function called Unicast Connectionless Data (UCD), putting it in direct competition with RF4CE, the wireless remote control specification that merged last month with the Zigbee Alliance efforts to replace infrared remote controls. While the rival interfaces were originally designed for different applications, TV makers will have to choose between them. Bluetooth was considered too power hungry and its latency too high for remote controls, burning through a set of batteries in three months and delaying a second or more before registering a button push. However, the new UCD functionality in the 3.0 spec extends battery life to about four years and lowers Bluetooth's latency to milliseconds. 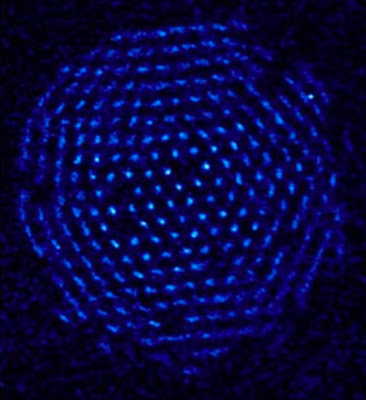 "MATERIALS: GE holographic disk said to top 500 Gbytes"
Holographic disk media answers the need for optical mass storage that rivals the size of hard disks today. By squeezing 500 Gbytes of data onto a single DVD-sized disk, GE plans to cash in on a market that is begging to be served. Look for holographic disks to begin making a big splash within three years by early adopters with gaping backup needs, and to be on everybody's desktop within five to seven years. R.C.J. GE Global Research reports that is has succeeded in writing patterns on holographic disks that brighten their reflectivity by up to 200 times, enabling next-generation holographic disks that could store up to 500 Gbytes, or about 10 times the storage capability of Blu-ray video disks. Optical disk drives with vastly more data storage than current storage media promise to harness the third dimension to write holographic patterns. GE estimates that its 500-Gbyte disk drives will be available by late 2011, using media that costs about 10 cents/gigabyte compared to 50 cents/gigabyte for current Blu-ray media. 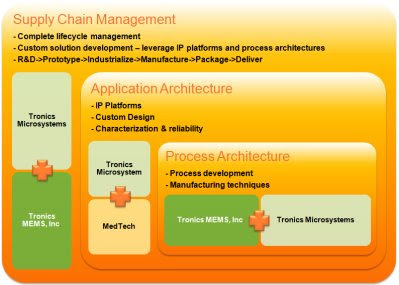 "MEMS: accelerometer sports smart algorithms"
Freescale Semiconductor Inc. has put its significant resources behind developing a first-class MEMS semiconductor operation, with expertise in nearly all the different types. Since 2005 is has been concentrating on robust algorithms for its MEMS accelerometers that perform common functions for user-interfaces of consumer electronics devices. With its latest three-axis accelerometer, Freescale has included algorithms that give its accelerometers a significant advantage over traditional "dumb" devices. Look for Freescale to remain a strong player in the MEMS space. As the market for MEMS-based accelerometers shifts from automotive and industrial segments to consumer devices, Freescale claims it has become one of the top three MEMS suppliers. Freescale (Austin, Texas) said it is focusing on lower power, less expensive three-axis accelerometers that incorporate built-in algorithms capable of sensing taps, shakes and all six possible orientations. Consumer devices can now harness the built-in intelligence in an accelerometer that allow users to control its functions, including automatically switching from portrait to landscape orientations. Smart algorithms built into the latest accelerometers permit more advanced functions without having to press key combinations or shake a phone to activate different functions. "QUANTUM: NIST nudges quantum computers toward commercial viability"
Quantum computers can sift through all the possible values of multivariable problems to find the optimal solution in a single machine cycle. The downside is that the values with which they work—qubits, which use superposition to represent both a 1 and a 0 simultaneously—are extremely prone to errors in multistep calculations. But an ounce of prevention is worth a pound of cure, according to the National Institute of Standards and Technology (NIST), which has demonstrated an error suppression technique that it says makes multistep quantum calculations commercially feasible. BOTTOM LINE: Quantum computers could revolutionize calculations by performing feats in parallel that would take years for a serial computer to perform. Unfortunately, they are also very temperamental due to their error prone nature. If NIST's error prevention technique works, then commercial quantum computers could be on the horizon, but don't hold your breath, because I predict it will be at least a decade before they are commonplace. "MATERIALS: Ferroelectric gates make transistors nonvolatile"
Electronics devices using ferroelectric transistors would turn on instantly without the need to boot from flash or hard-disk memories. Such ferroelectric transistors would likely use a gate oxide with memory to create nonvolatile circuitry that retains its state when power is turned off. Many research efforts have pursued ferroelectric transistors, but so far all have failed for lack of a suitable manufacturing process. A solution may be near: strained strontium titanate deposited on standard silicon substrates, according to a team of industry, university and government researchers. 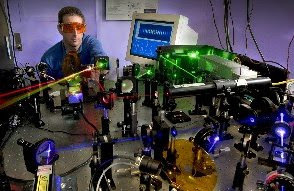 Engineers from Cornell University, the University of Pittsburgh, the National Institute of Standards and Technology, Penn State University, Northwestern University, Motorola Corp., Ames Laboratory and Intel Corp. participated in the ferroelectric research. BOTTOM LINE: Instant-on electronics would revolutionize every type of electronic device by enabling each individual transistor to remember its state when it was turned off, obviating the need to reboot each time a device is turned on. Texas Instruments, Sharp Laboratories, Infineon and others have patented different ferroelectric transistors to realize instant-on operation, but so far none have been commercialized. If this breakthrough using strained strontium titanate as a gate dielectric for standard CMOS chips works as advertised, then the era of instant-on electronics could be realized within five years. "CHIPS: TriQuint retains GaAs foundry lead"
TriQuint Semiconductor Inc. said it remains the largest commercial GaAs foundry based largely on continued growth in communications markets like smartphones.The company recently provided a tour of its Hillsboro, Ore., gallium arsenide foundry TriQuint's industry lead will be reaffirmed next week by industry watcher Strategy Analytics Inc. (Newton, Mass.). TriQuint's first quarter earnings are expected to be down compared to its 21 percent growth in 2008, but it will predict overall growth for 2009. 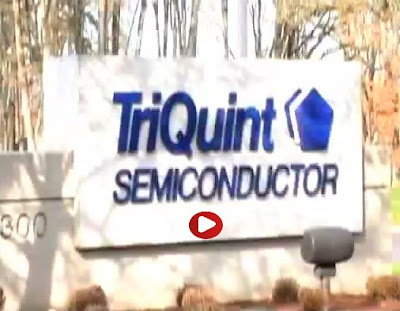 Over 85 percent of TriQuint's sales are standard RF chips for wireless communications. The remainder--about 10 percent commercial and 5 percent for the military--bring its foundry business to about $400 million annually. "MEMS: Tronics reports 2008 revenue growth"
MEMS maker Tronics Microsystems SA is reporting a 5 percent increase in revenues for 2008 compared to the previous year despite declining sales in key markets like aerospace. Tronics (Crolles, France), which focuses on custom design services backed by in-house manufacturing of its MEMS chips, said that its net profit totaled 8 percent of revenue for 2008, down from 12 percent in 2007. Tronics 2008 revenue totaled $16.3 million, compared to $15.4 million in 2007, for a net profit of $1.3 million in 2008 compared to $1.9 million the previous year. Tronics said its balance sheet includes $6.6 million in cash and a debt/equity ratio below 30 percent. BOTTOM LINE: Tronics grew despite 2008 capital expenditures used to finance its U.S. subsidiary, Tronics MEMS Inc. which has a new Dallas-based fab, and its acquisition of MedTech Development (Sunnyvale, Calif.) The company has a strong position for weathering the recession and expects to at least break even in 2009, and return to double-digit growth in 2010. "3D: Philips exits 3-D TV market"
Philips Electronics said it will shut down its 3-D Solutions operation which had been readying an autostereoscopic display designed to eliminate the need for special 3-D glasses. The Philips unit had been showing a 42-inch autostereoscopic 3-D display based on a a high-definition (1,920- by 1,080-pixel) LCD panel with a lenticular lens attached. The design eliminated the need for special glasses. Philips said its Consumer Lifestyle TV business will not be affected. 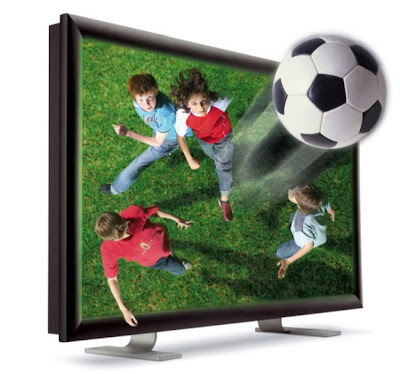 That unit will continue to evaluate 3-D TV technology should Philips decide to reenter the market. BOTTOM LINE: Philips glasses-free 3D display technology had been praised by industry analysts who had seen prototypes. Unfortunatley, the display could only be used for showing 3-D images due to the permanently attached lenticular lens and its 2D-plus-Depth format had little content available. Furthermore the $13,000 price tag for the new displays was too high for consumers. All told Philips decision to shut down its 3-D operation makes sense. "ENERGY: Living organisms triple solar cell efficiency"
By harnessing the shells of living organisms in the sea--microscopic algae called diatoms--engineers have tripled the efficiency of experimental dye-sensitized solar cells. 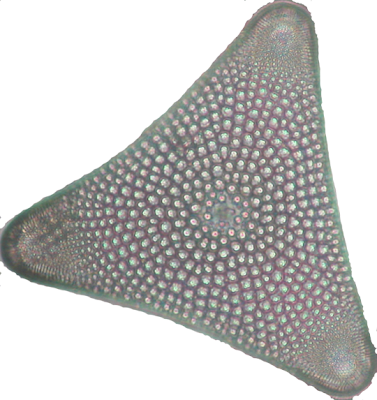 The diatoms were fed a diet of titanium dioxide--the main ingredient for thin film solar cells--instead of their usual meal which is silica (silicon dioxide). As a result, their shells became photovoltaic when coated with dyes. The resulting dye sensitize solar cells were three times more efficient than those without the diatoms. 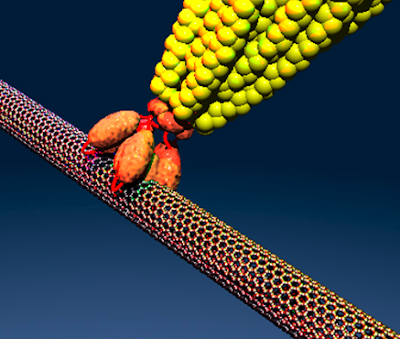 "MATERIALS: Graphene stamp manufacturers carbon transistors"
Atomically thin layers of pure carbon atoms in a perfect crystalline lattice--graphene--have vastly greater electron mobility than silicon or gallium arsenide. Unfortunately, graphene is very difficult to grow in uniform sheets. To the rescue is a Ohio State University method, currently being patented, which has the advantage of enabling cheap available bulk crystals of graphite to be patterned into intricate graphene circuitry which can be placed atop a conventional silicon chip. A reusable graphene template patterns all of a chip's carbon-transistor circuitry using in a single micro-contact stamping operation. "Basically the idea is to stamp layers of graphene in arbitrary shapes on silicon substrates," said Ohio State professor Nitin Padture. " Stamps can be patterned for large areas with dots, squares, lines, whatever shape you need--and can be used over and over, making it a good candidate for production environments." To prove the concept, Padture's group used conventional photolithography techniques to pattern graphene stamps made from highly-oriented pyrolytic graphite bulk crystals. Each stamp measured three-by-three millimeter square and used about a one millimeter thickness of layered graphene. Since each use of the stamp only deposits a few layers of graphene--some less than a four nanometers thick--it could be reused to stamp out the same graphene circuitry atop millions of silicon chips. For their tests, the researchers stamped square shapes onto a 300 nanometer layer of insulating silicon dioxide atop a conventional silicon wafer. Because of the strong van der Waal force between graphene and silicon dioxide, the graphite stamp deposited just a few monolayers to the wafer with each application. 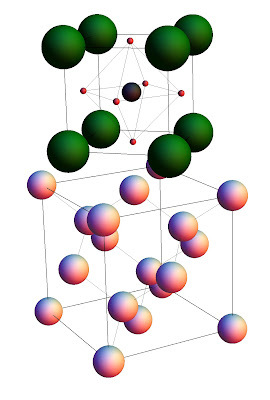 Padture's group hopes to gain control of how many layers graphene get deposited with each stamping--eventually permitting consistent deposition of atomically thin monolayers--by adjusting the force of adhesion to the graphite block with custom material mixes for the subtrate. Using a stamp in the shape of a field of square pillars--each about five microns square--Padture's group was able to depost an array of graphene channels which they are currently characterizing for their electrical characteristics when used for field-effect transistors (FETs). "We are attaching electrodes to each corner of the graphene squares and are just beginning to test them," said Padture. "Our circuit will demonstrate using the material to make FETs." Padture, who is also director of Ohio State's Center for Emergent Materials, performed the work with professor Wolfgang Windl and postdoctoral researcher Dongsheng Li. Funding was provided by the Ohio State's Institute for Materials Research as well as by the National Science Foundation (NSF) sponsored Center for Emergent Materials--one of 27 NSF-sponsored Materials Research Science & Engineering Centers (MRSECs) nationwide. "CHIPS: IBM Fellow: Moore's Law defunct"
An IBM researcher says Moore's Law is running out of gas. IBM Fellow Carl Anderson, who oversees physical design and tools in its server division, predicted during the recent International Symposium on Physical Design 2009 conference the end of continued exponential scaling down of the size and cost of semiconductors. The end of the era of Moore's Law, Anderson declared, is at hand. The IBM Fellow observed that like the railroad, automotive and aviation industries before it, the semiconductor industry has matured to the point that the pace of continued innovation is slowing. Anderson was one of 65 semiconductor gurus speaking at the conference, which also unveiled a new method for synthesizing critical paths, a host of analog design innovations and a new twist on the annual physical design contest. BOTTOM LINE: The continued breakneck pace of semiconductor scaling that has resulted in smaller, cheaper chips cannot continue much longer, due to increasingly high cost of building new fabs. 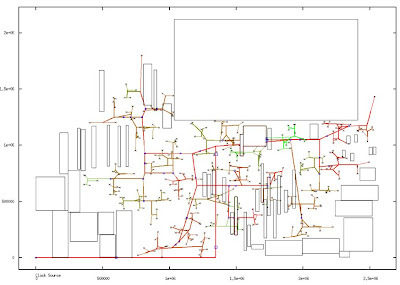 Also, most applications do not require that absolute latest, greatest semiconductor design innovations. Semiconductors will continue to be the driving force in consumer electronics, but increasingly the focus will be on functionality rather than the higher speed and smaller size of the chips used to realize an application. The first RF remote controls adhering to the emerging Radio Frequencies for Consumer Electronics (RF4CE) standard were demonstrated at the cable industry's annual show. Remote control maker SMK Electronics Corp. (Tokyo) showed its RF4CE-compliant remote controls using technology provided by Freescale Semiconductor (Austin, Texas). Freescale joined the RF4CE consortium earlier this month, providing momentum to the emerging standard. Other member companies include Panasonic, Philips, Samsung, Sony, OKI and Texas Instruments. During the cable show, SMK demonstrated a remote control with a display that could wirelessly download playlists from an iPod and display them on a TV. The same remote control was also used to control lighting in the room. BOTTOM LINE: Infrared remote controls are a thing of the past. With the backing of nearly all the world's major consumer electronics makers for standard interoperability, plus the superior performance of RF remote controls, look for infrared remotes to be obsolete within three years. "ENERGY: MIT harnesses viruses to print 'green' batteries"
Viruses can be used to assemble tiny batteries that can then be printed on plastic films, Massachusetts Institute of Technology researchers claim. The MIT investigators reported on genetically-engineered viruses that were used to self-assemble nanoscale lithium-ion battery materials. The resulting batteries were then printed onto plastic films using green processes. MIT researchers claimed to have perfected the last major component of its flexible battery film, demonstrating performance comparable to existing lithium-ion batteries that run everything from laptop computers to hybrid automobiles. The team is currently optimizing its materials to boost performance beyond existing lithium-ion batteries. Eventually, they plan to commercialize the printable battery films. BOTTOM LINE: MIT has cleared the final hurdle toward superior thin-film battery technologies self-assembled at the nanoscale with living viruses. With different genetically engineered viruses for patterning both anode- and cathode-electrodes, MIT now has the technology to mass produce flexible, thin-film batteries using a micro-contact technique. Look for conformable batteries using its technology in two to three years.